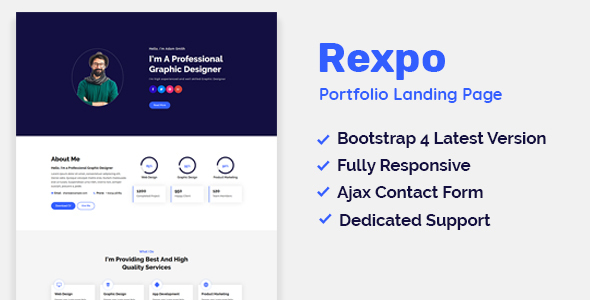 Rexpo is a Personal Portfolio HTML5 Template. It is suitable for creative designers, freelancers, photographers, creative agencies who wants to display their personal portfolio. It is fully responsive based on Bootstrap 4 latest version. All codes are well commented and also have proper help documentation to customize it easily. Note : Live preview images are not included in the final download. These are only for example purpose.